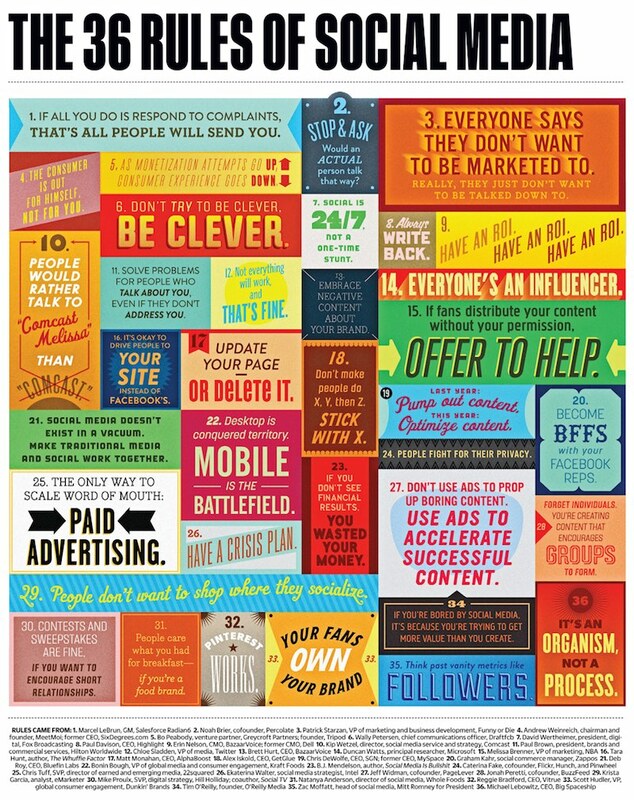 This is a great reminder of some of the key rules we should all observe in social media. Your fans own your brand. If you’re bored by social media, it’s because you’re trying to get more value than you create. Desktop is conquered territory. Mobile is the battlefield. Update your page, or delete it.